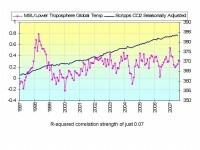 Temperature peaked in 1998 and have shown no warming for a decade now. Many scientists have been remarking about this trend for several years but no one takes heed, preferring to believe models than actual data. 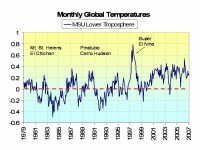 Here is the satellite derived global temperature trend since 1979. Note the cooling globally near the volcanically active periods of the early 1980s and 1990s. Note also the warm spike associated with the super El Nino that seemingly marked the beginning of the end of the warm Pacific trend that began in 1978. Note the rebound cooling as a series of 3 La Ninas in 4 years helped cool the earth in the last 1990s. Temperatures rebounded a bit in the early 2000s with a slight rebound in the Pacific warmth, three El Ninos and a volcanic aerosol-free stratosphere, but the trend since 2001 has been flat and at a level considerably below the peak of 1998. 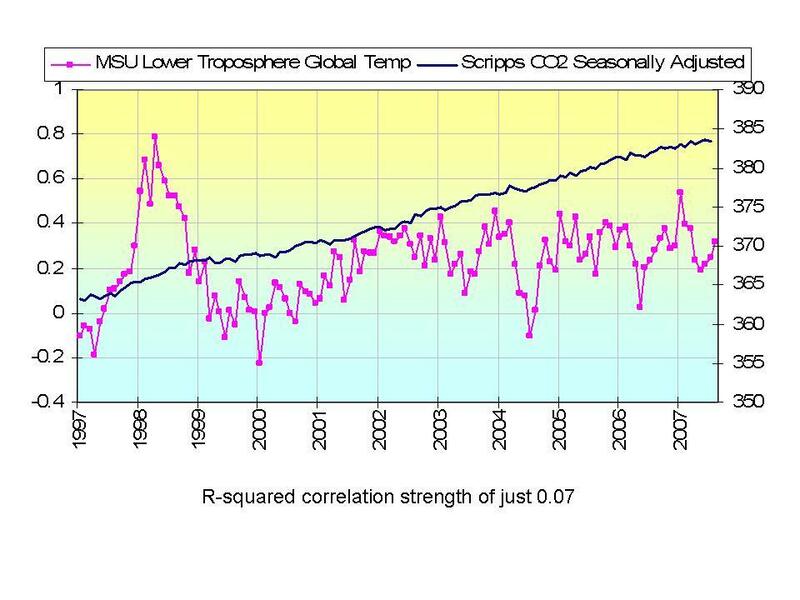 This lack of warming has occurred despite the increases in carbon dioxide. Global warming is over. Man was never responsible. See full blog here.